The OSRAM constant voltage power supplies with DALI, enable you to maximize any designs potential and enjoy flicker-free light due to a high PWM frequency, dimmable to between 0.1 and 100 % with TouchDIM. Use from 1 to 4 channels and benefit from DALI message detection of LED module failure. The slender form of these drivers makes them ideal for use when you need to install LED lighting in tight spaces or linear luminaires, for example in coves, corridors and handrails, or for wall washing. 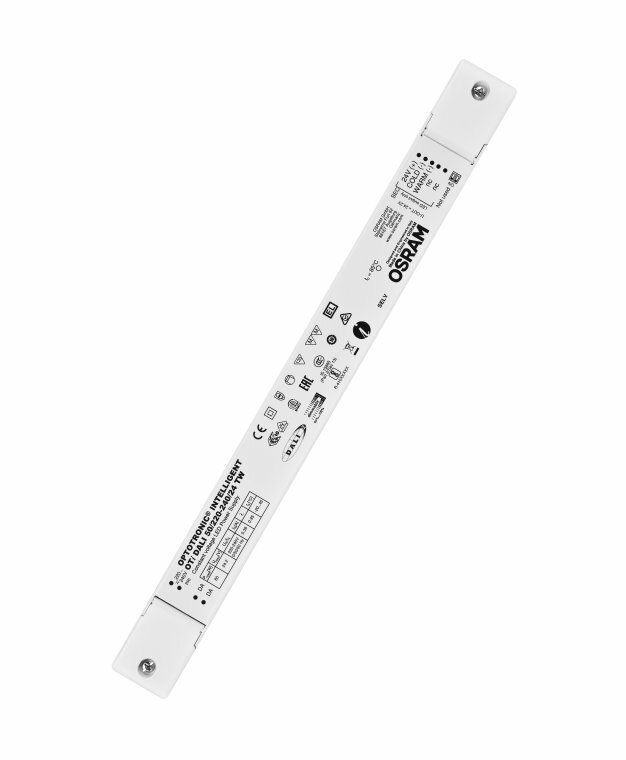 They are suitable for 24 V LED modules and for use with luminaires of protection classes I and II. DALI message detection "LED Module failure"